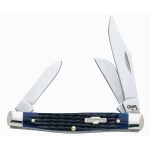 The 02806 Case Medium Stockman features Rogers Corn Cob Jigged Blue Bone handles and Tru-Sharp™ surgical steel Clip, Sheep foot and Pen blades. 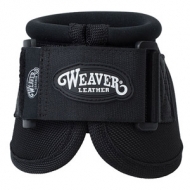 An ideal size, the Medium Stockman measures 3 1/4-Inch closed and weighs 1.7-Ounce. True Blue, this Case has all the character of a trusty companion...loyal and dependable. It will stand the test of time.